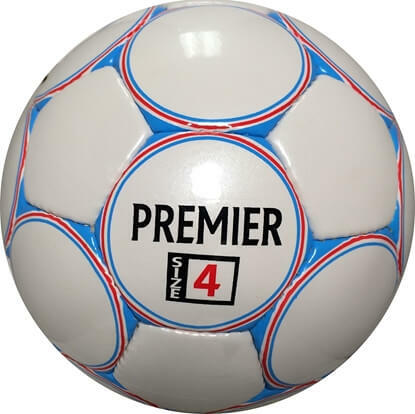 Premimu Match Soccer Balls are usually seen in professional sport events and elite players foot. 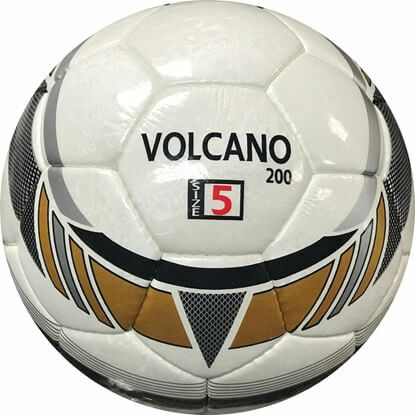 We have worlds best premium match soccer balls in our online soccer store. 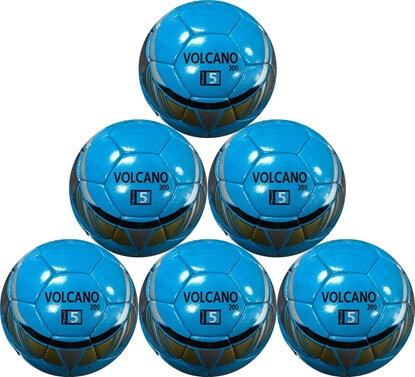 These Balls are made out of Japanese Tianjin Cordley T-9740 Shine 1.6 mm thick PU cover. 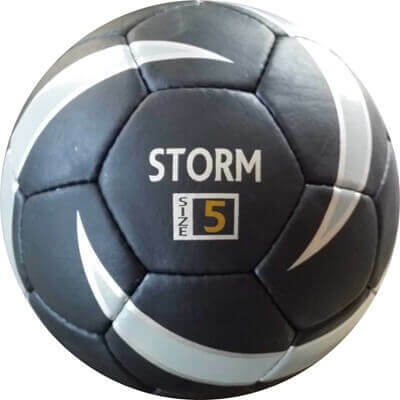 Laminated with multy layers of high quality polyester linings & inside of these ball we got Taiwan made butyl bladder for durability and long tme air pressure. Made of Tianjin Cordley double tone 1.7 mm thick PU synthetic leather cover. 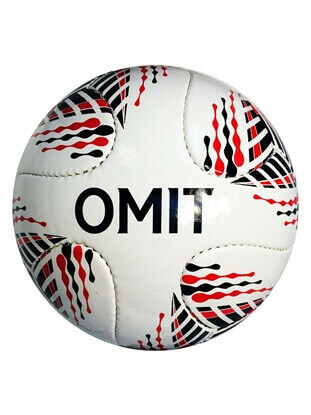 The world's best soccer ball material available in market. 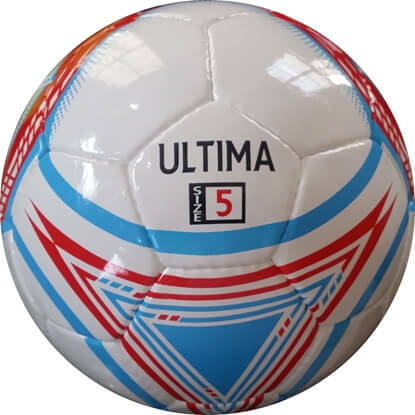 Laminated with microfiber sheet for softness, shape and durability. 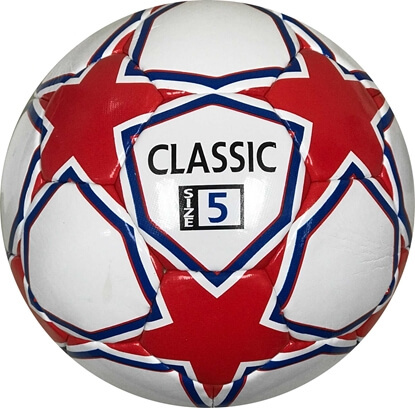 Classic Soccer Ball Hand Stitched match Ball - 6 Panels Size 5 White and Blue. 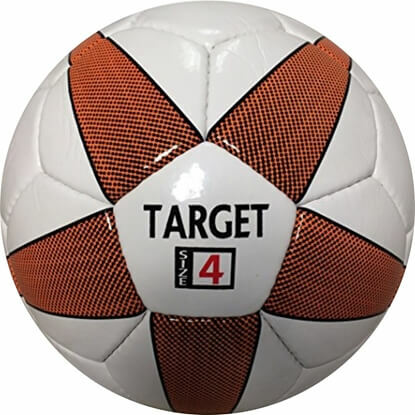 Perfect ball in Performance. 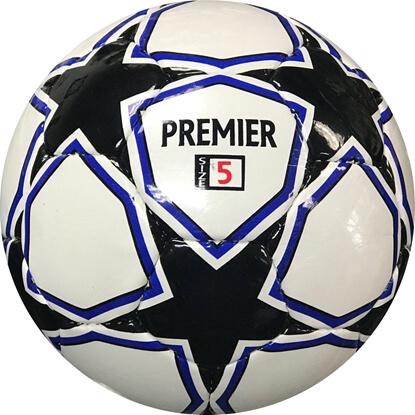 Match Ball - Hand Stitched - IMS standard ball. 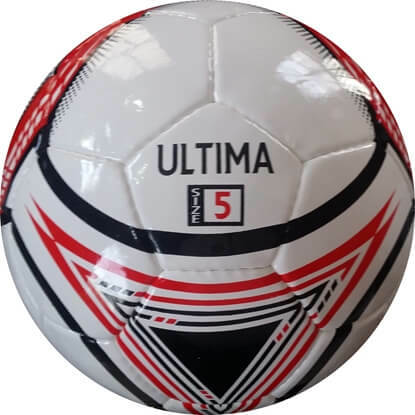 1.4 mm PU Shine - Soft Material For Practicing & Heading Laminated with Polyester and synthetic leather cover. Fitted with latex bladder. 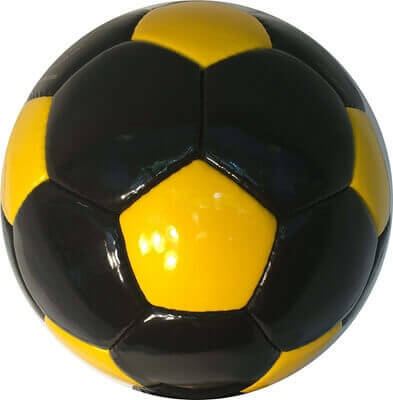 The ball is mainly a golden color and is decorated with black stars. 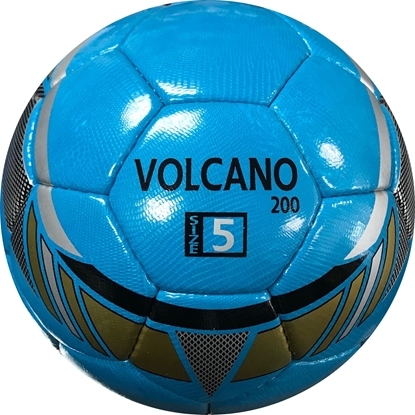 Volcano 200 Soccer Ball - Hand Stitched - Professional Soccer Ball - Size 5 (Blue Two Tone) Six Pack. 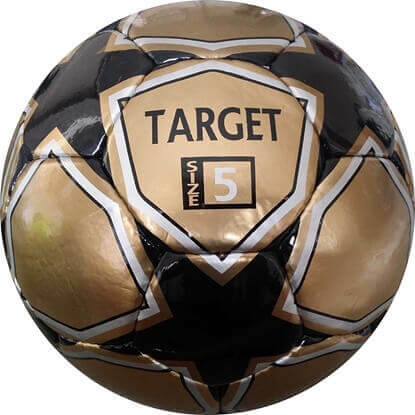 Six balls will be shipped deflated - FREE SHIPPING Casing Teijin Cordly (Japan High-abrasion resistant PU). Micro Fiber Backing. Laminated with Rubber Sheet and high class Poly. Hi Speed /Rebound. 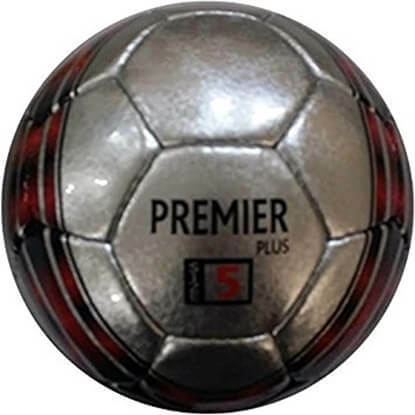 high-end Ball. Designed as per wish of Professionals. Meet / exceeds and FIFA Approved level. 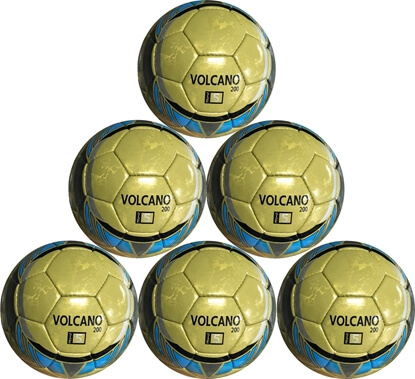 Volcano 200 Soccer Ball - Hand Stitched - Professional Soccer Ball - Size 5 (Gold Two Tone) Six Pack. 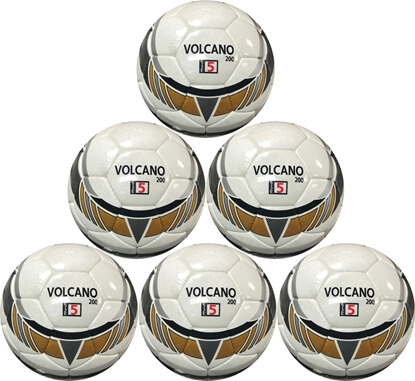 Volcano 200 Soccer Ball - Hand Stitched - Professional Soccer Ball - Size 5 (White Two Tone) Six Pack.